Mini Cabin QuiltMini Cabin Quilt, Chambray alt="Mini Cabin Quilt, Chambray"
Print The contrasting stitching, the puckered texture, the super-soft cotton – it's everything that you love about our ever-popular Cabin Quilt, downsized for the toddler set. 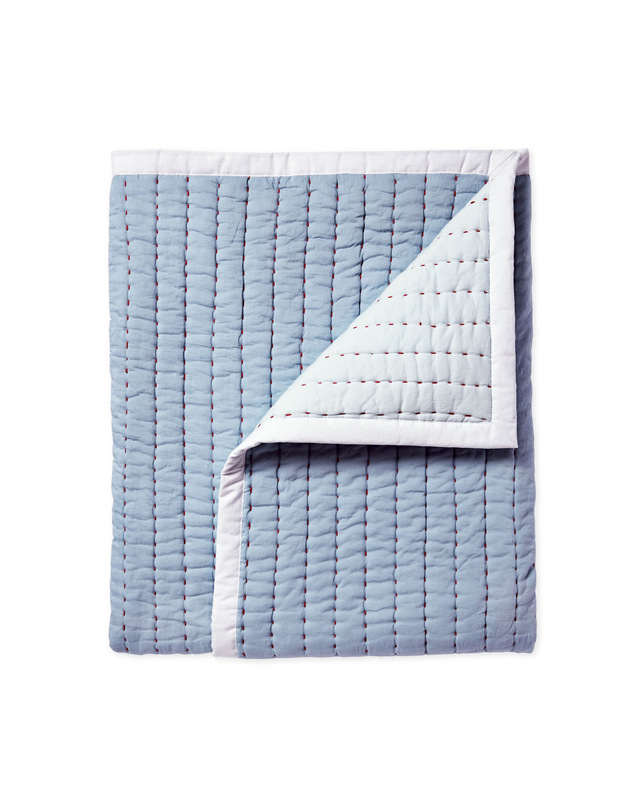 Fully reversible, each quilt features contrasting colors on each side. Finished with a crisp white binding and contrast stitching. Cotton fill with 100% cotton fill.